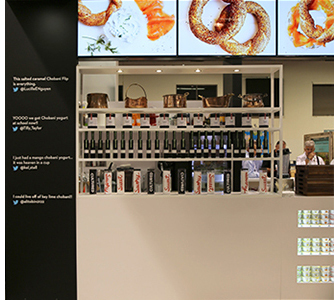 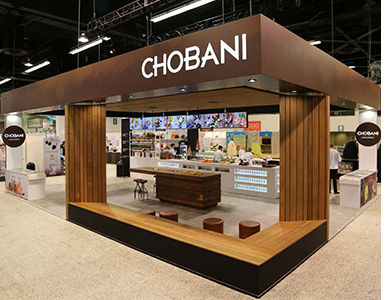 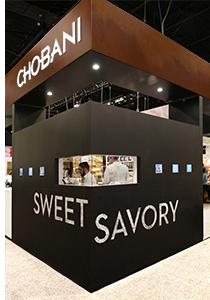 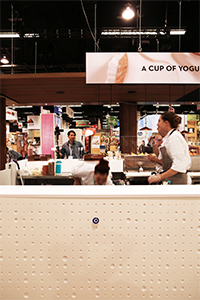 A booth setup for trade shows reproduces the Chobani SoHo café atmosphere and adapts to different venues as needed. 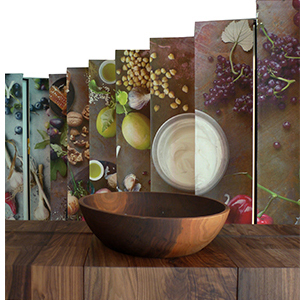 The material palette—wood, steel, glass—reflects the brand’s philosophy of natural ingredients and corresponds to the SoHo storefront. 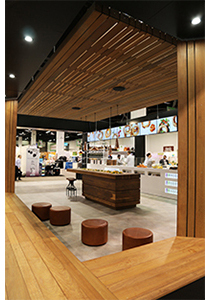 Environmentally conscious and reusable, the system of components is fully modular, a kit that can be adapted to the scale and type of venue while remaining true to the core aesthetic.